This Thursday is Thanksgiving, so for Souper Monday I thought we would focus on soups that would work perfectly for using up leftover turkey. Now all of these recipe originally used chicken, but any of them would work fine with leftover turkey. In fact, really any recipe that calls for chicken will work with leftover turkey. Yes, the flavor will be a little different, but it still works fine, especially in soups and pasta dishes. Slow Cooked Fajita Chili would be really good put in the crock pot the day after Thanksgiving using up some of that leftover turkey. 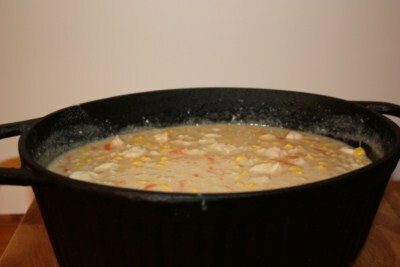 Wild Rice Chicken Soup is one of my favorite chicken soups and I have made it with turkey and it is so good. Enchilada Soup is a soup my kids always enjoy. 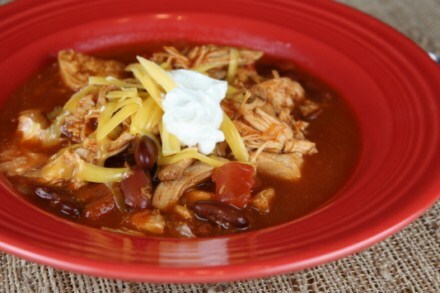 Crock Pot Chicken Chili is another recipe that I have been making for years and works great with turkey. Crock Pot Chicken and Dumpling is one of the easiest recipes on my site and again works perfect with turkey. And Mexican Stew is one of our favorites during the fall and winter. It is a great soup for a cold day. Thanks for posting these recipes!! For the Wild Rice Chicken Soup, I was wondering if you had a substitution for the condensed cream of mushroom soup as I haven’t used condensed soups since going GF. Thanks again for all of your hard work with your blog. My family loves your recipes!